Nick Robinson wears a Hermès suit and jacket. He also sports Jimmy Choo shoes. Nick Robinson definitely makes a statement with his latest photo shoot. 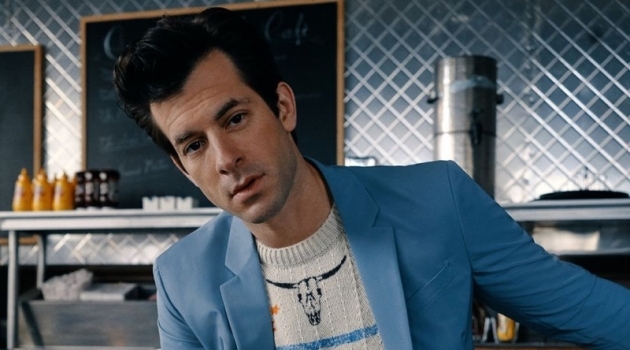 The Love, Simon star graces the pages of C for Men in star-worthy suits and sportswear. Christian Anwander photographs Robinson, while Alison Edmond flexes the bold hand of a stylist. 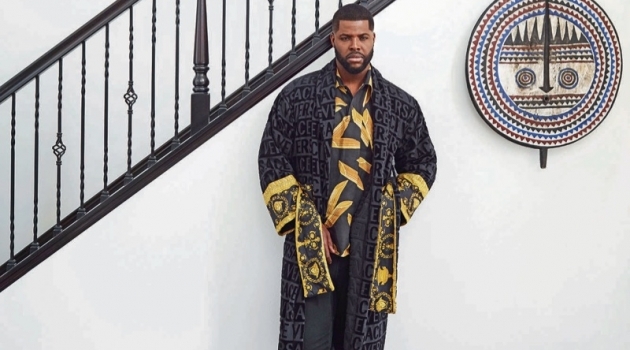 Front and center, Robinson wears bold styles from brands like Saint Laurent and Gucci. Robinson also talks to the magazine about the runaway hit Love, Simon . [ Love, Simon ] wasn't an immediate, Yes, confesses Robinson. But I'm so glad that I was convinced because it's been a very personal journey and there have been a lot of very serendipitous things that have happened in my life that have sort of pointed me to the conclusion that this was a good decision. During the course of production, Robinson's own brother came out as gay. He says, We were able to talk about it on a totally different level. Read more at MagazineC.com. 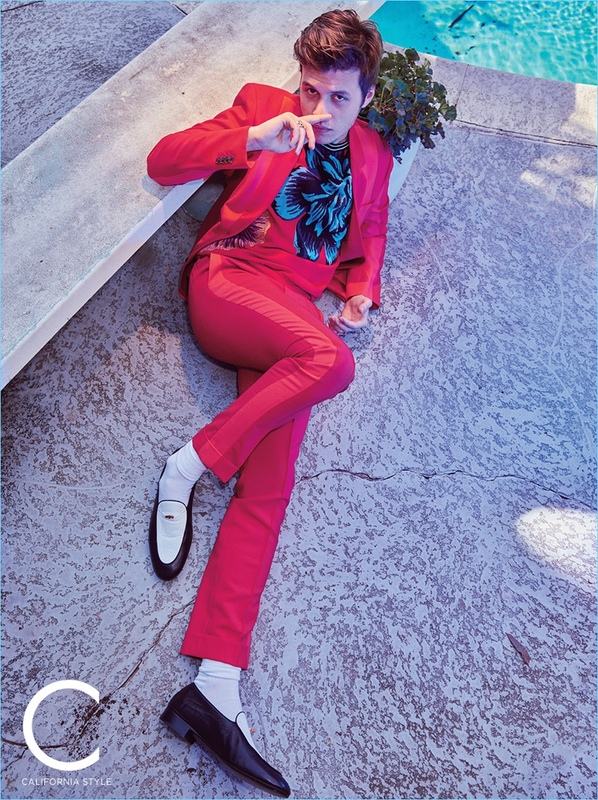 Relaxing poolside, Nick Robinson wears a Paul Smith suit and sweater with Giuseppe Zanotti loafers. Showcasing his best dance moves, Nick Robinson wears a pink Gucci suit, shirt, and tie. 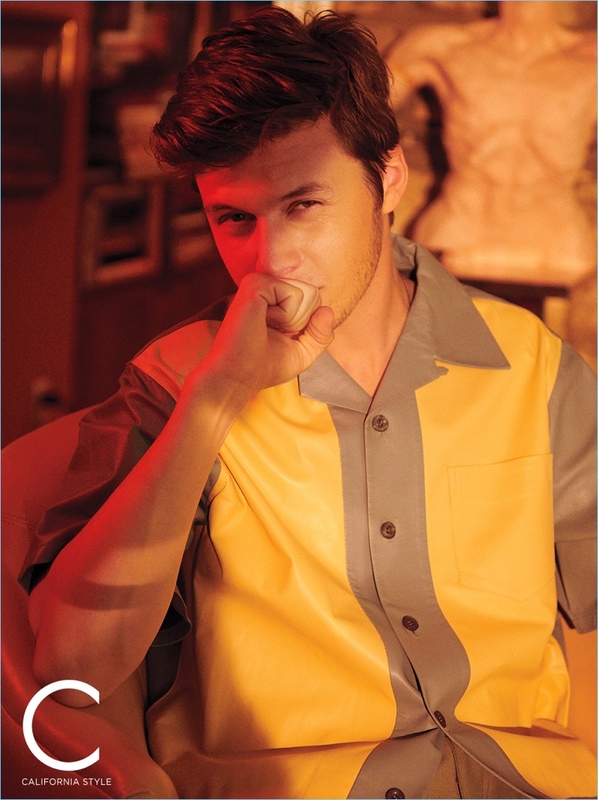 Starring in a new photo shoot, Nick Robinson wears a Prada shirt. 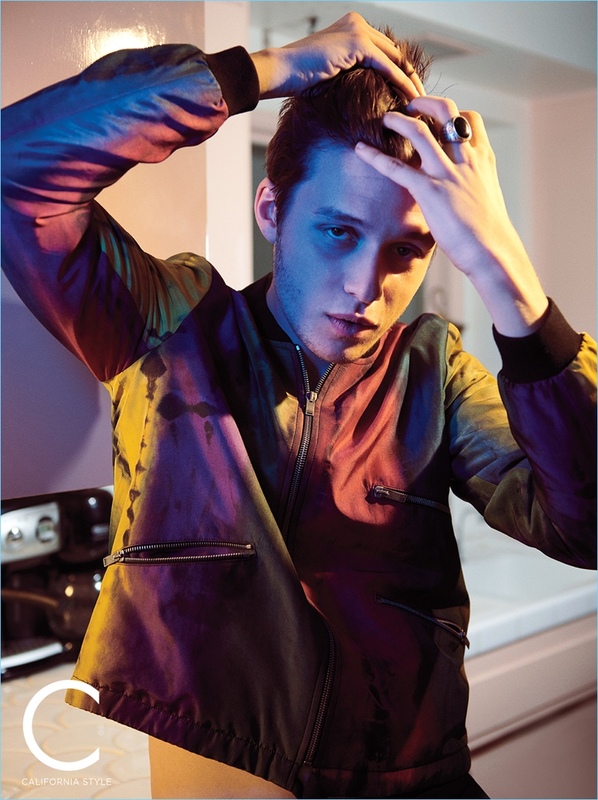 Fixing his hair, Nick Robinson wears a Saint Laurent bomber jacket.